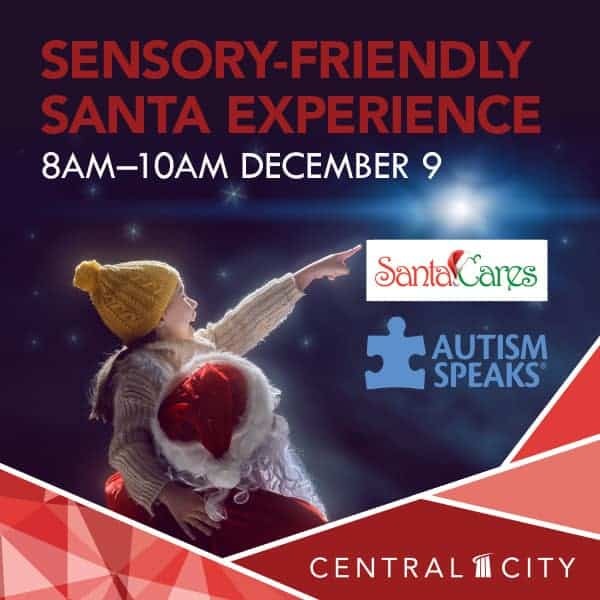 An exclusive sensory-friendly Santa photo experience will be offered from 8am to 10am on December 9 at Santa Land at Central City. Individuals with all spectrums of special needs and their families are invited to a private photo session at Santa Land at Central City where extra care is taken to support the sensory, physical and other developmental needs to make this a magical holiday experience. The event takes place at the southwest side of the shopping centre (adjacent to Tim Hortons). This event is in partnership with Autism Speaks Canada. There is no admission charge, however photo packages that capture holiday memories will be available for purchase at the event. For additional information or to make a reservation, click here or visit autismspeaks.ca (Family Services Partnership section).